Hello, this is the Yukkuri demasu. As usual, this is not literal Japanese translation, expect some mistranslation and confusion. Actually the editor still editing this (I sent the manuscript 3 days ago) and still waiting for it. Well I don’t blame him since this chapter is really long and RL can sometime really hindering. So I’ll post this unedited version (I hope it readable) and post the edited version after he sent it to me. Tell me if something is mistaken and I'll (depend on if I was at home or not) will immediately fixed it. Chapter 1. Is Cheat really necessary? Post Story 3 The Returning Daughter – The Returning Daughter is Belligerent? With a “bashuuu” sound, a fire with a size of an adult’s palm crashed. Leaving a scorch mark on the rock surface where it hit. Voicing admiration, applauses resounded under the blue sky. Gai was speaking proudly while looking towards me. While wildly excited, his whole face was plastered with smile. The rescue carriage passengers were taking a break while on the return trip. After eating the lunch, the passengers that are my Papa Egil, Gai’s eldest brother Zack-nii, ex-Hunter Cougar-san and me, were watching Gai, who showed his memorized magic Torch and FireBall. He was showing the Fireball. The Fire Spirit that is assisting Gai in his magic and is waving to me from Gai’s shoulder. How cute. However, I noticed something worrying. Earth Spirit is sitting beside me. A Fire Spirit is also playing on top of his knee. Both of them are almost identical. Red hair and eyes. The attire is also the same, but the delicate tint of red is different. The dagger scabbard’s color and patterns on their waist were differ slightly. It’s just like spot the difference puzzle. Since from now we will acting together, it’s necessary for me to quickly increase the difference. Also a name. To call them just by their Families name is severely irresponsible. Now there are two Fire Spirits, but at the time we studying magic in the Academy, I think there will be a lot more. If I called “Fire Spirit”, then maybe every Fire Spirit will looked towards me, or so I think, well I will feel like running away then. It like when you called “Tanaka-san” in the downtown and then people you didn’t know looked towards you? So that is what I thinking while envying people who can’t see them. ‘Where the spirits came from’ or ‘where they went back to’, ‘is it when they receive the magic power?’ I leave everything about the Spirits to another person to ponder at. I completely don’t care about it. Only by seeing, where these children usually are? Why at the time magic is used they come? This is what I think. If Spirits is on the right side, right. Because if they are left they will difficult to take the magic power. Why am I doing tsukkomi? For now, I use this opportunity to ask their name. If they don’t have it, then I will just stick them one. If based on spirits from four classical elements, then isn’t the famous name will be for the fire will be Salamander, the water is Undine, the wind is Sylph, and the earth is Gnome? Since this is special, I think with this we will have connection. But if they do have name, it will be meaningless. Salamander then.... Sara? It sound like a girlish name, but at least it’s not long. Undine is..... Dine. Yes, decided. Sylph will be Sylphie. But the other name is only 2 syllables.... Then Rufi? In instant a certain Pirate appeared on my mind, but I decided to ignore it and moved on. Gnome, now this is difficult since it’s already short. But when I see the English word for the first time I think I read the romaji as Gunoume. Yup, it’s Guno. Gai pouts his lips, sit down and returned to his thoughts. The Knights’ eyes were swimming. Interrupting Captain-san speech, was Gai words. Even if he reach the level where he could use Magic, Gai is still Gai. His inability to read mood was still alive and kicking. Papa, Zack-nii, and Cougar-san are startled and looking at me. It’s can’t be helped. I tilted my head, and speaking like as childish as possible. For the group from the Royal Capital, it was like if I pretentiously said that「If it just that, it wasn’t a problem」, but I deliberately pretend I don’t notice it. Cougar-san mutters while seeing me in amazement, while Zack-nii smiled complacently. My father patted my head unreservedly. Every eye is upon me, so I make a smile with mixed feelings. What he replied my limply smile. Even though he doesn’t speak much, I love my kind father very much. That’s right. Since I admitted to the Academy, I will use this chance to aim for high salary employment after graduation. If I make new magic spell or magic tool I could sell it at high price, isn’t it? And then, I could send the remittance to my home. With a new resolution in me, I drink the tea with a nod. Gai, who escaping from his brother hand that makes fun at him while holding his head, is asking Cougar-san’s former history. You need to think what will you saying seriously. Gai’s head is drilled from the sides by Cougar-san’s fists. Are? About the magic power, isn’t everyone having it? I pulled Swyn-san sleeves and asked him, and I heard about the existence of entrance selection test. The children that came from the villages went to the Academy while receiving support from the nobles. They were the existence that supports the tuition fee, living expenses while attending the academy, financial aspect, or various other things. The excellence of the child that was supported by the noble became their status, for that reason not everyone will get enrolled. Therefore, if the person didn’t have a certain amount of magic power, they couldn’t make the crystal ball to shine. “Crystal ball’s light” is not means “possessing magic power” but rather means “possessing magic power over the standard value”. Although I understand the sentiment, how should I say it, it’s harsh. On the other side, for the nobles that could pay the expense from their own pocket, there was no selection test. The noble lineage has magic power over the average standard. If for example their magic power is low, they will certainly get thrown to the academy for training. For the people who didn’t want to disgrace themselves, they will go to school where magic is unnecessary. Gai who was finally liberated after severely punished, while always maintained himself at fleeing distance from Cougar-san, asking him once more. As if hearing those words made him remembered Gai is nodding with serious expression and then he made a sigh. What are you talking about? What this person thinking? ----- Is it the Cheat? Certainly, I think if it’s me, I could throw a gigantic Fire Ball. Although the Magic Eater could absorb the magic power, before the flame dispersed it will engulfed in the flames or when the ball hit it, it will be blown off by the explosion. To put it shortly, it’s a brute force approach. If that the case then there must be a decoy who furthermore must be prepared if getting mixed up in that attack. But, will that attack be effective? That’s true. Eventually it returns to that point again. To make the attack pass through those hard scales, we need magic power or energy. I collect my thoughts and murmur, everyone concentrate their gaze on me. That’s why stop looking at me. Captain-san brings his face closer, so I answered while backing for a bit. Well, that’s not unexpected. A Demon Beast opponent that goes “thanks for the feast” if you use magic that perhaps couldn’t be defeated with magic without Cheat level magic power, that’s only a natural reaction. Since there is need for close combat, there is also a risk. I called out to Fire Spirit that accompanying me until now, if he have a tail, he might swinging it rapidly, while jump to my shoulder in smile. Too bad, I won’t use a magic power with necessary amount for ou to become an adult. I begin with turning my body towards the rock wall that Gai attacked before. Using Fencing as a representative of close combat, I imagine that I hold a sword on my right hand, while I send magic power from inside my chest to my left hand index finger. But as Gai didn’t mold his magic power, so I also did the same as him. There is no problem, I collect the magic power on my fingertip. Even without molding the magic power, I can still use it. However, I think the consumption is bigger. I wonder what if different when molding, is it the same as saving magic power like a storage battery? If I do it regularly the cost performance might be good. This call for more research. I convey my wish to the spirits with an incantation. It’s important to supplement the image, so I’m told that it’s impossible to shorten the aria. However, to freely choose the incantation words is a popular research topic. In case of long-range attack, accuracy is more important than speed. If you want to increase the power, you need several people to use the magic together in synchronization. The basics details of using the incantations will be learnt on the Academy. Since there is no time to make image in close combat, since you need make small specification that depends on the current situation, to make attack as a reflex, it seems necessary to memorize the incantation and the image into the body by do it repeatedly. Quite Spartan. So there are a lot of simple offensive words like “burn into nothingness”.The magic power that put into it, exactly as it said, could burn a thing completely. The Earth Magic that I use when I was fighting Magic Eater, after going with image, I declare the beginning of magic, then I invoke Kanji ideographs inside my mind. Since Image+Incantation is a set, if I need to say it while in the middle of combat I could get interrupted. This time just is like the last time, but it’s a close combat specification type. Inside my mind I construct the incantation so there is no need for verbal exposition. I ferried the same magic power amount that Gai used to Fire Spirit, the incantation ----- the fire is manipulated exactly like what I said. Because I can check the magic power by sight, it is really convenient for this experiment. I receive OK sign from Swyn-san that have the Perception ability sense the existence of magic so I give it to Fire Spirit. Are? Since he can sense magic, wouldn’t he also found out that I was gathering magic power at yesterday lunch? ........I’m sorry. I’m so sorry. It was because I wholeheartedly want to avoid attention. Ah, it goes against my real intention. Well, unless he pursue it, let’s just looking the other way. While making a “boooo” sound I produce a fireball. Just like Gai, it’s the size of an adult’s palm. But from this shape I process it further. The flame is twisting, following my hand that waved in a horizontal line, and started transforming. Thinner and thinner. The flame became thin like an arrow, the color turn into blue. The flam instantly vanished and pierced the rock. Because I don’t even hear a sound, I become confused. Just like putting a paper on the focus point of magnifying glass under direct sunlight, it will be burned. With that in mind, I try to converge the thermal energy into one point, so I thought that the power might be raised. But there not even a “Juuu” sound. Perhaps, the flame disappeared at the moment of impact. Cougar-san console the confused me with 「Even if it doesn’t go as you expected, you can use magic」. Gai rush up to the rock wall, afterwards Swyn-san follow him. Well, although I was embarrassed for failing after boasting it, if I understand what the cause I can improve it. I was making verification on the steps when Gai shouting in joy. What do you mean? Was the scorch march made some weird shape? He is beckoning me with a sparkling smile. Swyn-san put his fingers on his forehead and slowly shakes his head. Bracing the pain, Captain-san raised himself, while limping on one foot he try to go towards the rock wall. Papa hurriedly supported him. Since the other 3 Knights also stand up, to make give up I turned my head towards them. I tilt my head slightly while making an innocent threat. My magic was only at first aid and self-recovery magic level, so if they don’t rest, what can be healed couldn’t be healed. Did I need to become just what the Captain yesterday does? Because I swing my right hand excitedly, the 3 adults are sitting down. Umu. It’s best if you could understand. Zack-nii and Cougar-san eyes became a dot. Since so far, I was a little different. I think that this is the influence of my previous life personality. If I have to say it, I know what kind of life it was: otaku-petite-hikikomori huh? But on this life generation I made improvements. Although in reality it seems that I will become a fantasy magic otaku without holding anything back. 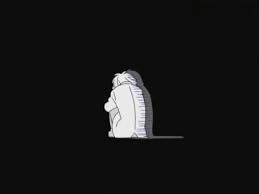 I have a hunch that if I addicted into research I will become a even more hikikomori, but improvements is necessary. We are now sitting in circle to receive the report, Captain-san show his finger as the size of the hole, about 1 centimeter. Un. For a first tries that is a good result. Captain-san assumes a position towards the rock and makes a posture as if drawing a bow. From both of his hand, a flame is produced. It’s an arrow. As if firing an arrow with bowstring, Flare Arrow flew to the rock, and pierce. After leaving a small scorch mark, the flame disappears. 「Well, its firepower is not as strong as Fire Ball. But depend on the magic power, it is possible to fire several of them, so the power is equal. Blum-san has quite a wicked tongue. But image is importance huh? If I made a mistake it could result in explosion. Since it’s compressed, it’s considerably dangerous. But I think I should aware of it just a little. Captain-san immediately made a basketball size Fire Ball that floats in the air. What an active person. I sense that he was excited, so I think that he like trying out new magic. Captain-san is lost in thoughts and the fire was shaking. Seeing this, I spread a handkerchief. I made a circle from thumb and index finger on my left hand, then I push the handkerchief through that circle, and pulled it out from the other side. Seeing the handkerchief that turned into a cylinder shape, Captain-san nods. The Fire Ball started to transform. The fire become thinner but the color is still red. Since “high temperature fire is blue” is something that I know about temperature color, I think my blue fire come from my unconsciousness influence. Or is Captain-san convergence ratio didn’t reach to that extent? The flying speed is a little faster than an arrow. This is inevitable. Although the Knights-sama have dynamic vision, but it’s impossible for them to see the speed of light. Even I can’t see it. I only know it as having an enormous speed. Still, the magic from Captain-san melt the surface of the rock wall nd produce a small hole. To Gai’s question, I’m thinking and then answer him. I have a hunch that I said something that implicitly opposes the common sense. Can I sulk? I can right this time? Cougar-san’s word became the decisive blow. I who have principle to peace at any price, is belligerent? I turned my back and put my head between my knees. Cougar-san is being taught a lesson, but I still don’t turn my head back. I firmly protest that evaluation. While I was in the middle of inner conflict, I took a glimpse on my back, Cougar-san is supplicating to me. I’m not a Jizou. Not this is a pose for apology. Ah, un. Should back down with this? Since, at any rate my principle is peace-at-any-price. ザク Zaku ➔ Zack. You know the robot things that blew up on every Gundam episode? 兄 nii= means older brother. Since Mira call Zack with only “nii” that means Mira is close to him. In English the equal will be: Bro’ Zack. You know a game where you compare and find the difference from two photo. A pun on right (right side) with right (true), and left (left side) with left (leave past form). Tsukkomi is part of Japanese two-man comedic routine where a straightman will give retort (tsukkomi) to the foolish words or act that the fool (boke) is doing. If you want to know more about it: watch some Gintama, Shinpachi is a master of tsukkomi. Based on Japanese syllable rule not English one. 尻に敷かれる shirinishikareru. Have a subtext meaning of woman dominating her husband. Are, あれ. Expression of surprise or confusion. It refers to thread that catch many viewer or poster. Remember manga expression? A character eyes turn into dot means that they are surprised. Otaku: Label for people obsessed or heavily interested in popular culture like anime, manga, game, website, etc. Petite-hikkikomori: A shut-in that still go out from house to do something like shopping or for hobby, but usually stay inside the house. Mira’s previous life existence like to go to library for her hobby (maybe reading). An expression that show Yes or affirmative. Small statue of bodhisattva Ksitigarbha that usually placed in the roadside in Japan. Traveler usually prayed to him for safe journey. I love this one too!!! Thanks so much for all your hard work!!!!! Well, I doubt Gai will ever turn cunning enough to put a GPS-ring on her. Thanks for the new chapter! New spell variations! Yay!! Wind is easy though? Use an updraft and lift the thing into the air and then drop it like it's hot. The weatherman predicted a slight downfall of demonic beasts so make it happen. She's trying to think up spells for the...less cheat people. Given what we've seen so far it's unlikely normal people can create tornado on a whim, not to mention how long it'll take to gather that magic power. You do know that she doesn't want to have OP powers, right? Wind spell.. Hmm.. The vacuum from a small wind tunnel (I think that's what they're called?) could be deadly.. I wonder if poison and acid would be a sub-attribute of water or something else altogether..